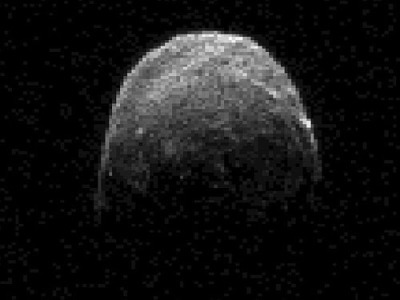 Asteroid 2012 TC4, which is roughly the size of a house, passed very close to Earth on Friday. The asteroid, if it had hit Earth, could have caused significant issues, however, scientists said in advance of the close shave that there was no risk of it hitting our planet. The asteroid passed by Earth about 59,000 miles (95,000 km) away, which is about 25 percent of the distance to the moon, according to NASA scientists monitoring the asteroid. The asteroid was first spotted on Oct. 4 by astronomers, and was measured to be aout 17 meters (56 feet) in width. "Small asteroid 2012 TC4 will safely pass Earth Oct 12 at just .25 the distance to our moon's orbit," scientists with NASA's Asteroid Watch program wrote in a Twitter update earlier in the week. Excited astronomers across the globe rushed to their telescopes once they heard that the asteroid was large enough to be seen through small household telescopes. Scientists across the world, including those at NASA, are constantly observing the skies for any potentially dangerous asteroids heading close to or directly at the Earth. On Thursday it was also announced that by about 2017 scientists will hope to launch a private space telescope which will be dedicated to analyzing the skies and seeking out any potentially dangerous asteroids coming our way. The project to launch the Sentinel Space Telescope passed a major review milestone recently and it will be moving ahead full steam to have the project completed and ready by 2017. The Sentinel Space Telescope will be sent out to search for asteroids from an observation spot near the orbit of Venus. From there it will analyze space and transmit its findings back to scientists on Earth. Scientists have confirmed that asteroid 2012 TC4 is too small to pose any major risk to Earth, and it is thought that the asteroid would need to be about 140 meters (460 feet) in width to cause major devastation to our planet. Here is a video produced by NASA showing an asteroid approaching Earth earlier this year.